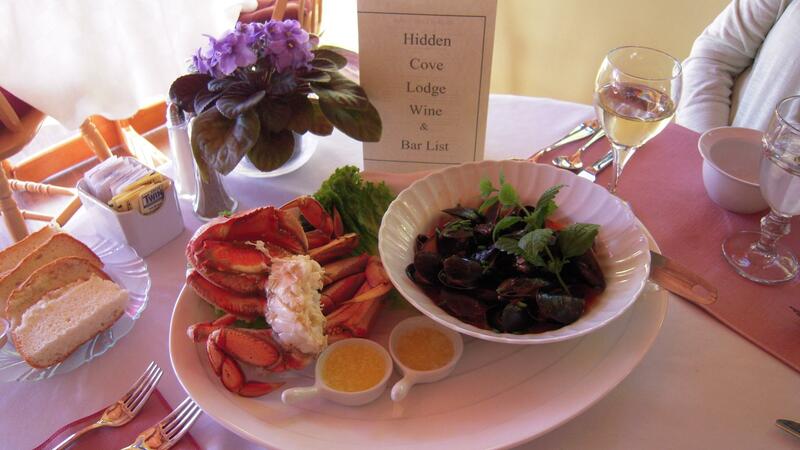 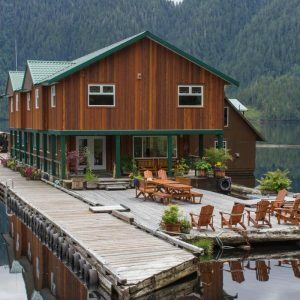 The Hidden Cove Lodge is between Port McNeill and Telegraph Cove at the northern end of Vancouver Island 40 minutes from Port Hardy and the Inside Passage Ferry. 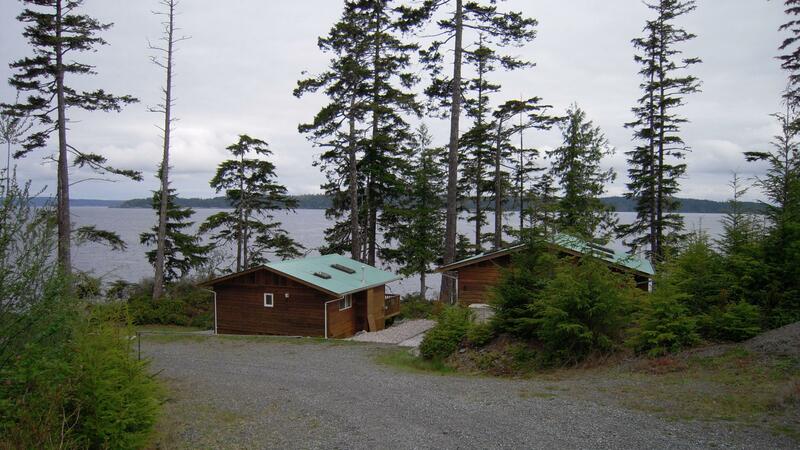 Hidden Cove is built from the surrounding cedars and occupies a stunning position overlooking the ocean. 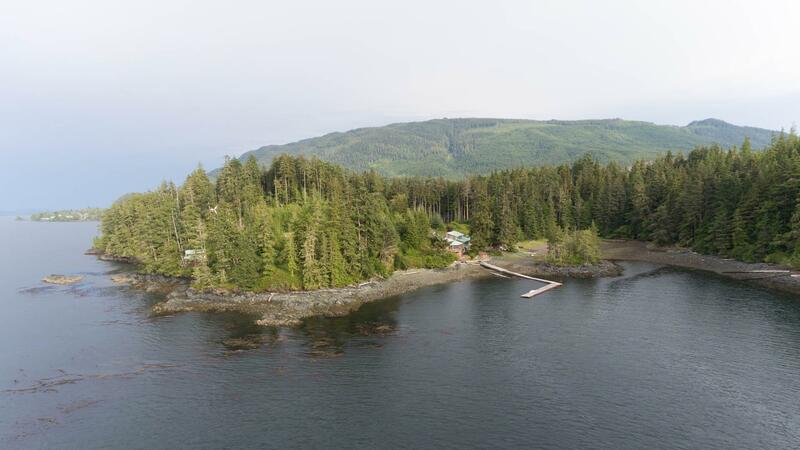 You will often be able to see whales from the lodge deck and sometimes you will see black bears on the lawn. 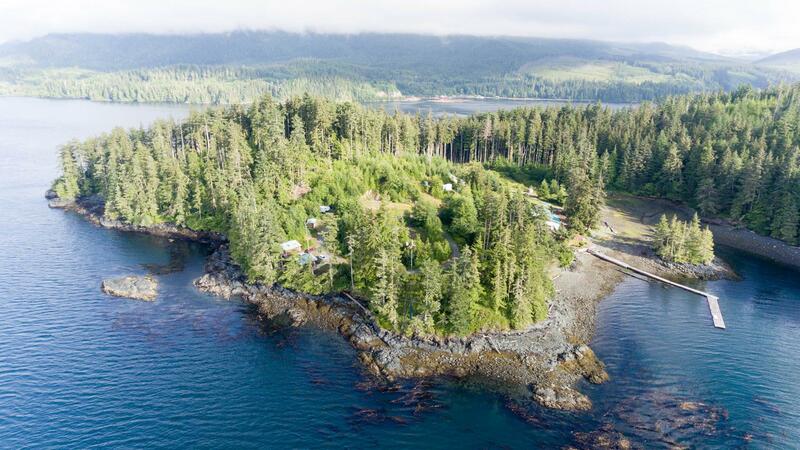 Hidden Cove is quite low key, your hosts will provide a delicious dinner but need at least 48 hours notice, the electricity goes off at 11pm but these minor inconveniences are more than offset by the amazing location and the proximity to wildlife. 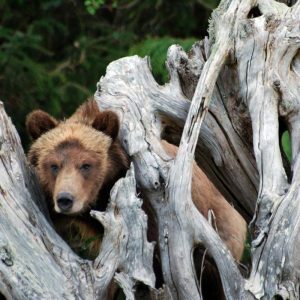 Grizzly Bear and Killer Whale/Nature Tours pick up at the wharf daily, May through October. 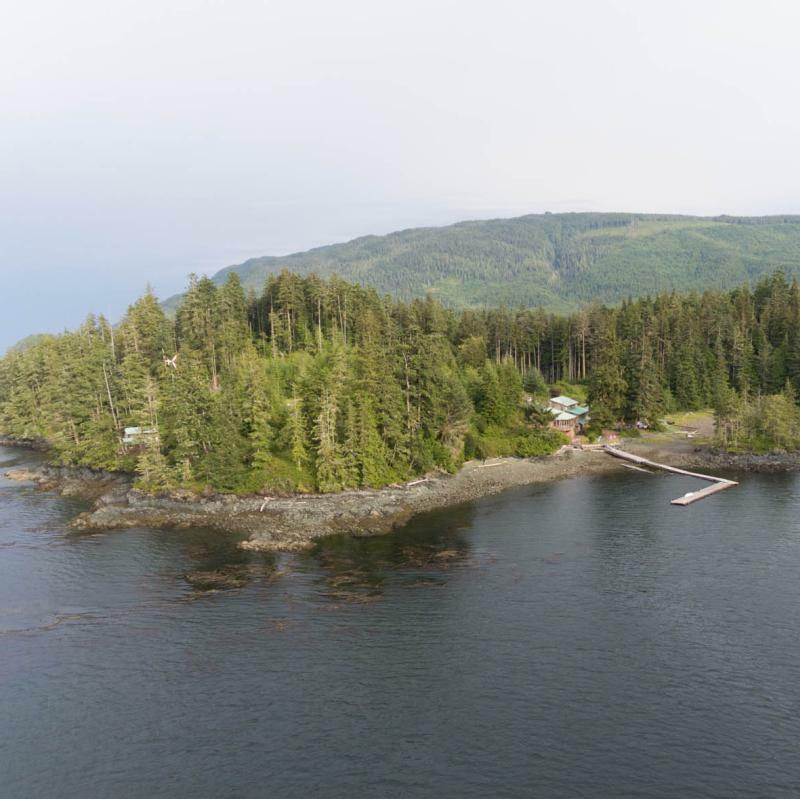 8 smallish bedrooms plus 2 self-contained oceanfront cottages, with fireplaces and a 1 bedroom Cottage, set back beside Lodge,over looking back of bay. 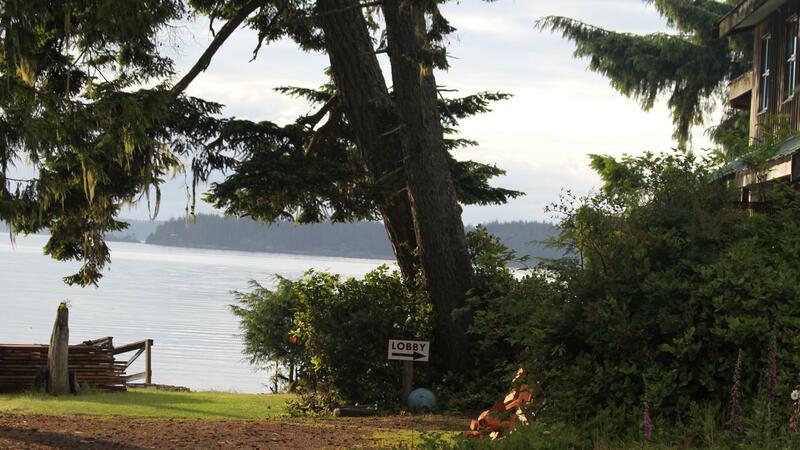 A wonderful position, a warm welcome and lots of unspoiled countryside.